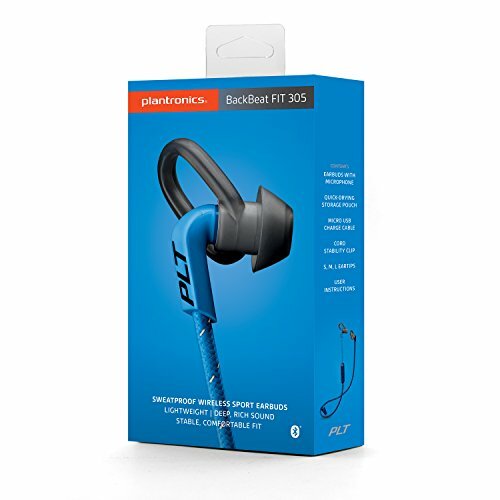 The lowest price of Plantronics Backbeat Fit Wireless Bluetooth Headphones (Power Blue) was obtained on April 5, 2019 2:05 pm. Actually not a bad product:Style : 7/10Design:8/10Comfort: 6/10Noise isolation:5/10Sound quality: 1/10 ( not to my liking)No bass at all. The headphones were working fine for around 4 months and suddenly they stopped charging. Now I am unable to charge them as well. for sthe past 2 months I am facing issues with this product. since the return window is closed its money that’s wasted. the headphone refuses to switch on. 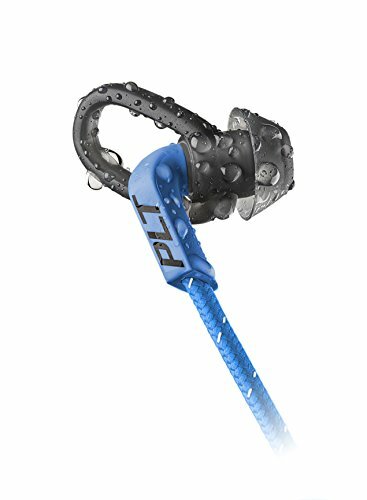 My review is based on my usage inside the gym which I believe these earphones are most suitable for. 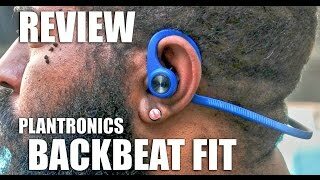 And I have sorted the review based on the aspects which I believe are important for a workout earphones.Fit:Earphones fit inside the ear perfectly and they remained inside the ear without falling for all the exercises I had performed even with some of the exercises where earphones are more prone to fall like running on a treadmill, jumping jacks and burpees. Lifting weights shouldn’t be a problem at all with these. Earphone on the right ear does feel like falling because of the control unit’s weight but surprisingly it didn’t fall throughout my 2 hours long workout.Comfort:Comfort is the best part of these earphones, they don’t feel heavy and don’t go deep inside the ear canal like other Chinese earphones do to block outside noise. 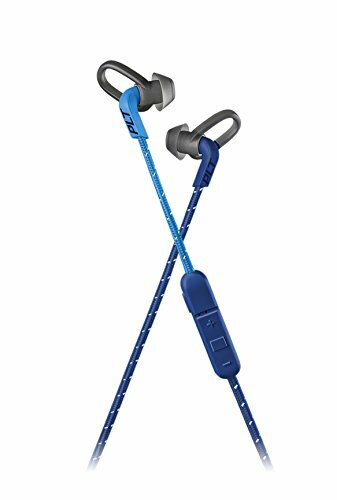 But they still do a very good job of blocking outside noise.However, prolonged usage creates a vacuum, which I believe is a common problem with all the in-ear earphones.Battery:The battery is impressive, only 20% got reduced in a 2 hours long gym session. So it could be beyond 6 hours which they have mentioned while its new.Sound Quality:They are low on bass and treble seems to be high. They sound decent, definitely not rubbish. 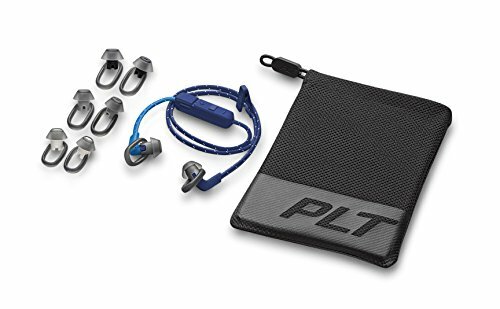 Not for audiophiles, the last thing a person cares about while working out is the sound reproduction.Call quality:Built-in mic doesn’t have any noise cancellation, in fact, you can hear all the outside noise in earphones while calling. So definitely not suitable for calling. The left speaker of headphone stopped working after around 3 months. Claimed the warranty for the product and got it replaced with new one. The right speaker of new one stopped working after around 2 months. And later the both speakers died. Sound quality for the new one was superb as compared to the older one. 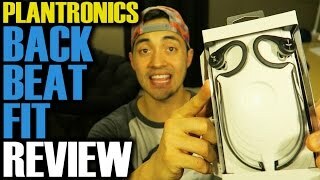 Product is really awesome but this review is not about Amazon or Plantronics Bluetooth device, this is about the seller who fools people and think he very smart selling us used and faulty products.1. Upon arrival i have observed that the inner box inside drawer was upside down. ( can be packaging issue)2. Sealed Sticker was double layered. ( i never seen in my entire life there are 2 layers of seal one on one)3. Box is not getting charged. ( Charging unit is faulty doesn’t charged even after keeping it for 3 hours connected to my PC.4. I found Bluetooth device default name is “Captain America” instead of “PLT BBFIT3100 Series”. that means this was opened and used.I want Amazon to take action on such Seller. 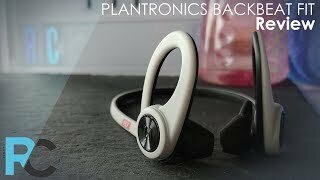 I have been using Plantronics BackBeat for almost 4 years, the red/orange version and they are both stylish and comfy. I only challenge with them was the hard plastic/wire connecting the two heads and while running or doing weight training on bench it used to bother, especially when you go heavy weight and needs some focus and then you feel this plastic on your neck, you take them off and then do heavy lifts :)To find a replacement I bought “Airpods”, “Bose SoundSport” & “Bose SoundSport Free truly wireless” and they all have some or other issue. Like “Airpods” are amazing in ear but when you start to sweat they start to fall. “Bose SoundSport” has amazing sound but they keep on falling while running and the wire connecting is hard and get stuck. 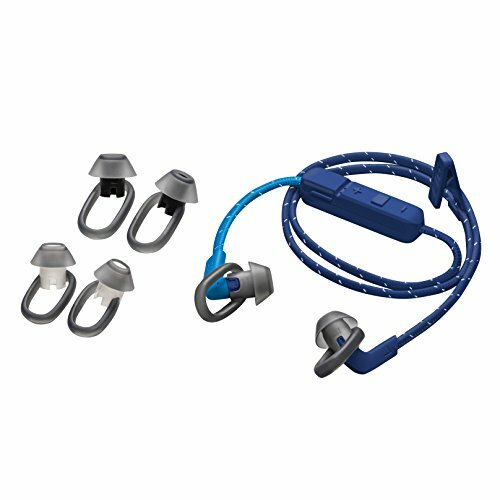 “Bose SoundSport Free truly wireless” are class apart when it comes to sound but man you can’t wear them to workout, they are super bulkier and keep on falling while running.Then one day I saw “Plantronics BackBeat Fit 3100” and I fell in love – pros: they stay with you, they got good sound. Cons, little expensive, bass is low, the range is 12-14 steps – then it starts to lose connection. So far it’s only been 2 weeks, I will try and write another review after a month. In the given range of wireless headphones if someone wants to buy one – go for these. Pros:Takes care of your ear with limits of 85dbOriginal sound and each equipment can be clearly heard and felt not like Bose’s digitized robotic equalized sound. Bose does not stand inform of this. Has excellent noise cancellation mic which neither Bose has nor Sony has.Great noise cancellation both while hearing and speaking, safer during car drive.Cons:Ear band could have been softer and easy sticking around over ears like gel. It has falling tendency.Charging timer is not present to take care of over charging by any chance, but luckily it auto cuts charging after full charge attenuation. The yearbook doesn’t come out.